SGX NIFTY is 8 POINTS down showing FLAT TO NEGATIVE OPENING. Also Banknifty broken ZONE of 16294 to 16105 ON UPSIDE but it not sustained there and CLOSED again in the ZONE. 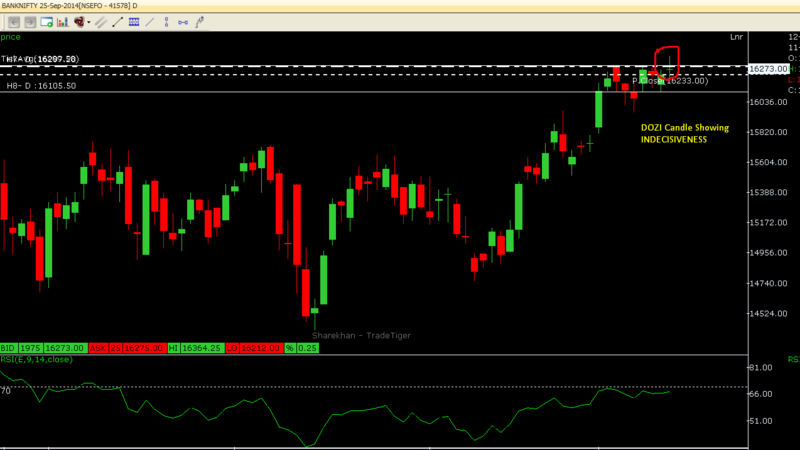 Banknifty Daily Candle showing DOJI CANDLE which showing INDECISION.